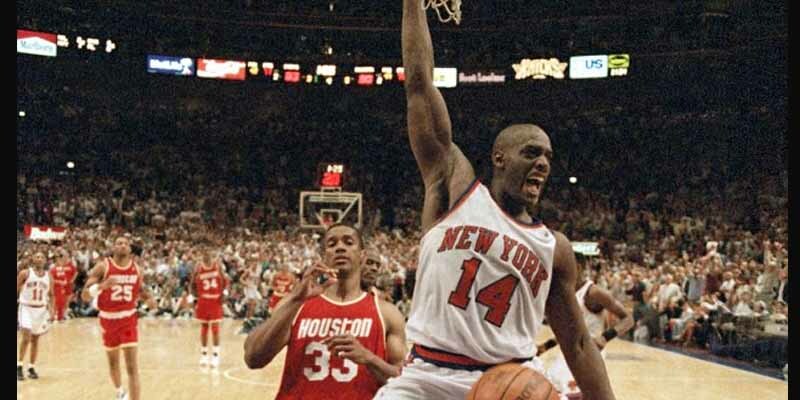 When long-time NBA fans tell you the league has gone soft, they’re thinking of players like the Knicks’ Anthony Mason, whose extremely physical defense would deter smaller quicker players from even trying to drive into the paint. Mason spent five seasons with the Knicks, his longest tenure with any team, and helped them achieve success that they hadn’t seen since the early-1970s when they won NBA championships. During the Knicks’ near-championship run at the end of the 1994-95 season, Mason led all players in field goal percentage at 60 percent, averaging 10 points and eight boards during the regular season. He was never a quality offensive threat and only averaged over 10 points per game on two occasions with the Knicks, including 15 points per game while leading the league in minutes per game at 42. Mason would win Sixth Man of the Year during the Knicks near-championship season in 1995.